A serial entrepreneur and investor / business mentor who has founded at least 5 businesses.....some of which have been successful! Passions and Skills include customer service and IT support, but also well versed in retail and online business trends. Happy life with portfolio of interests that include business, investments, tennis, golf, travel, reading, food and drink and enjoying new experiences! Love to meet new people and help others succeed. What's most frustrating and rewarding about entrepreneurship/innovation? Rewarding? The buzz and excitement as things take shape and start to suucceed. Frustration? It is never quick enough to get to failure or success and always costs you more than you think! What's the No. 1 mistake entrepreneurs make? What are the top three lessons you've learned as an entrepreneur? Howard has a history of building communities in customer service and IT support markets, and then making them into successful lasting businesses. He has just reached 59 and is now the proud possessor of a 'portfolio career' where he contributes to, and has fun with, a number of businesses and organisations. He aims to help people grow through both mentoring and investment. He previously wrote a definitive book on customer service for the BSI - where his common sense take on the area is a breath of fresh air! Howard’s primary achievement was as founding director of the Service Desk Institute. He is recognised as the leading authority in Europe on Help Desks and IT Support. He expanded this business internationally through partners in places such as India, the Middle East, Australia, the Far East, South Africa and mainland Europe. Howard is also a director of www.consultationinstitute.org (TCI) which helps develop best practice for the professional consultation market. Howard was formerly Chairman of the Institute of Customer Service (ICS) and has spent the last 20 years dedicated to improving customer service in support of UK Plc - he has an overwhelming passion for service, and is a recognised expert and leader in the field. 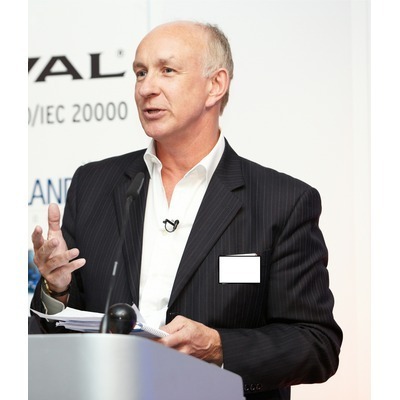 He chairs the BSI committee that developed the UK Customer Service standard (BS8477) , and BS8600 ( now ISO10002 ) - the Complaints Management Standard (BSI’s third best seller ever), and works with ISO as the UK leader and principal expert to take these global. He is currently working with a European initiative to harmonise service standards across the EU. Howard started his working life as a computer operator at 3M back in the 1970s, and worked in IT support management at Citibank and the Prudential until recognising the need for a professional support body for Help Desk and IT support professionals. Howard aims to make service to customers better, and this passion underpins all else he does. Specialties:consultation, customer service, IT support, change management, innovation, ideas, soft skills, people. Howard shared lessons about entrepreneurship. Howard added Virally Ltd as an investment.